In a society where food and drink establishments play an increasingly important role, it should come as no surprise that bar equipment suppliers are in high demand. High-end machinery can constitute a significant advantage in any kitchen or back-of-bar area, and with more and more managers catching on to this fact, it is only natural that suppliers of this type of equipment should be in high demand. Indeed, tools such as industrial dishwashers, glass washers or ice making machines can help expedite the daily workload of kitchen and bar staff, both by taking any number of menial tasks off their hands – thus freeing up their daily schedule – and by reducing waiting times for said tasks. 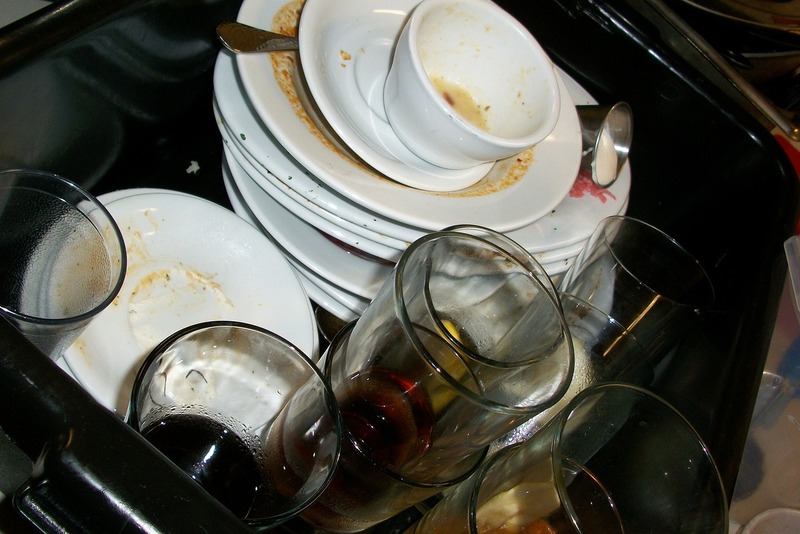 Washing a pile of dishes or glasses can take a human employee several minutes which he or she could be putting towards customer service or meal prep, but with the help of this type of machinery, this type of task can be completed in minutes, not only allowing the employee to concentrate on his or her other tasks, but also improving response times for requests such as clean dishes, glasses or cutlery. That aspect is what has led to this type of implement becoming more and more in-demand amidst bar, pub and restaurant managers, and conversely, to bar equipment suppliers such as DK Services to take on a more important and prominent role within the catering and restaurant industry. Nowadays, companies like ours are called upon to service businesses of all kinds and sizes within the field, and tend to become, more than a provider, a partner to their customers. This is because, for the most part, bar equipment suppliers tend to offer a far more diverse array of services than simply the sale of back-of-bar machinery. Due to the sensitive nature of this type of equipment, many of these companies are also called upon to provide complementary, after-sale services, which extend their relationship with clients far beyond the initial one-time sale. In this blog post, the bar equipment specialists here at DK Services will be attempting to give an overview of the different types of tasks a company like ours is usually asked to provide, and as such, should make sure to include in their list of offered services. What services should bar equipment suppliers provide, then? The lines below will attempt to provide an answer. Bar equipment suppliers such as DK services know customer service for the type of machinery they provide goes far beyond ensuring a sale goes through without complications. Many customers would rather not have to resort to a different company for after-care on their dishwasher, ice machine or drinks cooler, and as a result, many bar equipment suppliers find themselves taking a multi-faceted approach to their duties. The lines below will go over each of these functions in-depth. Sales are, evidently, the first and foremost service bar equipment suppliers should offer, and the one most of their income is likely to be generated from. As noted above, back-of-bar machinery can be highly specialised, and thus hard to find in general appliance shops or even online retailers. As such, bar equipment suppliers assert themselves as the main places in which to find this type of machinery, and as a result, tend to be in high demand among bar and pub managers. Evidently, the sales aspect of a bar equipment expert is not limited to simply ensuring each customer gets the piece of equipment they want; these professionals also tend to be required to offer insight and recommendations on the best or most appropriate items for each customer, as well as deal with any complaints or returns which may arise. 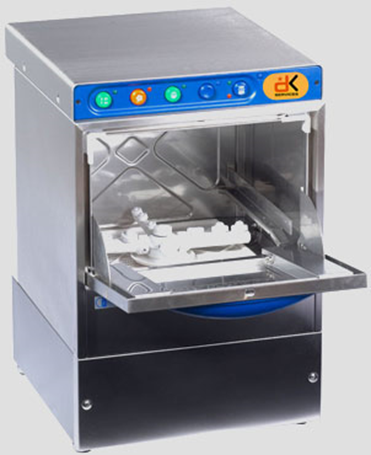 Some bar equipment suppliers, such as DK services, also offer a rental service, for bar and restaurant owners are less willing to invest in a machine without assessing the benefit it could effectively bring to their establishment, or simply unable to afford the purchase of such a piece of equipment. While this type of service is not necessarily mandatory to offer, the advantages of providing it to customers should be self-evident; a loan agreement, especially one with a view to an eventual purchase, is mutually beneficial. By having the option to hire bar equipment, bar and restaurant managers can assess the quality of bar equipment suppliers’ machinery without having to incur the full expenditure of purchasing the item upfront. At the same time, the company itself will not only still be profiting from the agreement, but also hopefully making a name for itself as a trustworthy and flexible supplier of bar and kitchen machinery, confident enough in their quality to allow customers to ‘test-drive’ their products! Bar equipment repair, replacement and upgrading are perhaps the three key aspects of the ‘after-sale’ side of bar equipment suppliers’ duties. As mentioned above, back-of-bar or kitchen implements are internally complex, and as such, repair on this type of machine should only be attempted by professionals, and tends to be costly. By offering to look after the items they sell at buyer-friendly rates, bar equipment suppliers not only allow customers to save some money, but also assert themselves as offering good customer service, an aspect which can help with brand awareness, word-of-mouth and potential customer acquisition. Similarly, by offering to replace a defective item free of charge or for a small fee, companies such as DK Services emphasise their focus is on customer service, rather than simply profit. Certain companies extend the scope of their bar equipment repair to include repair and upgrade and modernisation services on items from other companies. This service is also worth offering, as it establishes the company as caring about customer service, rather than just profits, and could well contribute to gain them new customers if carried out correctly. From the customer side, this type of service can ensure a bar or restaurant stays up-to-date with their equipment whilst saving up on the money necessary to buy a brand new item, as opposed to upgrading an existing one. The lines above provide a few answers to the question of what services should bar equipment suppliers provide. While far from a comprehensive list, the section above touches upon all of the main types of services these types of companies tend to make available to their customers, and offer an explanation as to why each of them is important. Here at DK Services, we pride ourselves on offering almost if not all of the services detailed above, and we are certain that that is one of the main factors making us one of the leading bar equipment suppliers in the North West! It therefore comes as no surprise that bar equipment suppliers such as DK Services see such demand for this type of machine. Commercial dishwashers tend to be some of the most consistently sought-after items in the catalogue of any bar equipment provider, and our company is certainly no different in that regard. The popularity these kinds of devices enjoy is not at all unwarranted, either. Much to the contrary, the advantages of commercial dishwashers to bar equipment managers and staff alike are tangible, plentiful and well-documented, and stretch even beyond the obvious benefits readily apparent to layman customers and shared with domestic dishwashers. As specialist bar equipment providers with an established reputation to uphold, we here at DK Services like to make sure our customers are well informed about the products we stock, and how they can be advantageous to the functioning of their commercial space. Likewise, we understand that while many of our customers are well versed on the topic of bar equipment, others may be less informed, or perhaps less experienced, and thus not fully aware of the benefits an implement such as a commercial dishwasher might bring for their business. That is why, in the spirit of keeping our customers informed and aware of the benefits of the type of bar equipment we provide, we have taken it upon ourselves to round up some of the main advantages of commercial dishwashers, and list them in the lines below. Like most items of bar equipment, commercial dishwashers are built to last and withstand considerable wear and tear, as well as regularly high operational volumes. When compared to a regular dishwasher found in the average western home, commercial dishwashers stand out for being considerably sturdier, and built to both last longer and work for longer periods of time each day. In fact, a single commercial dishwasher, even a smaller-sized one, is able to perform more than thirty washing cycles a day without suffering damage or breaking down altogether, a number domestic dishwashers are still a considerable way from being able to match. 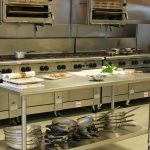 The advantages of this are two-fold, as bar managers can purchase smaller models for their kitchens, thereby saving up on both space and energy, without necessarily losing out on volume or efficacy in the trade-off. In addition, the sturdier build of these types of items when compared to traditional domestic dishwashers makes them excellent value for money for bar and restaurant managers, as it ensures an extended lifespan even under heavy usage. As such, and unlike what might have happened with a ‘regular’ dishwasher, said business owners will likely not have the need to replace these implements on a regular basis, allowing them to save money in the short term. Similarly, as well as handling a higher number of loads a day than traditional washing machines, commercial dishwashers tend to have shorter wash cycles than their domestic counterparts. 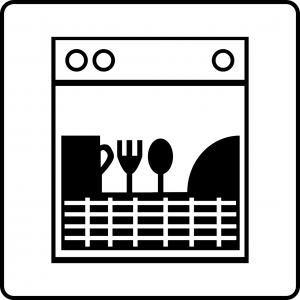 The average wash cycle for a commercial dishwasher, even one on the smaller side dimension-wise, ranges between four and six minutes, as opposed to the several hours a domestic washer would take to perform the same task! The advantages of this in the context of a commercial catering or drinks establishment go without saying. Reduced washing cycles make it possible for bar staff to go through all the cutlery, glasses and plates in a relatively short amount of time, thereby allowing them to process their workload more efficiently and respond to the demands of the job more effectively. Last but not least, commercial dishwashers stand out for being among the most power efficient pieces of bar equipment available on the market. A smaller-sized commercial dishwasher will typically consume as little as ten to fifteen watts of energy per wash cycle, giving it the distinction of having one of the best power-efficiency ratios out of not only any piece of bar equipment, but most appliances overall. Again, this efficiency represents a significant boon for bar and restaurant managers, who will have overhead costs and bills to worry with at the best of times and are sure to welcome any opportunity to save up on costs. Energy-efficient bar equipment, such as small or large-sized commercial dishwashers, go a long way towards helping a business achieve this goal, so low energy consumption should be considered one of the advantages of commercial dishwashers, as well. When all the traits mentioned above are taken into consideration, either separately or as a cohesive group, the advantages of commercial dishwashers to a bar or commercial kitchen become self-evident. There is a reason this type of item continues to be as popular as it is with bar, restaurant and pub managers, and the factors detailed in the paragraphs above certainly play a large part in giving it its glowing reputation. 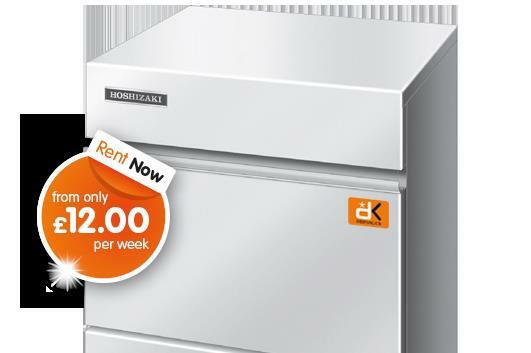 DK Services certainly experiences significant demand for our commercial dishwashers, either from customers wishing to buy one of these items from us or wishing to make use of our popular long-term rental service, and we definitely encourage most of the business managers contacting us to add one of these items to their array of back-of-bar appliances. 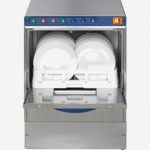 Whether or not this article has managed to convince bar and restaurant managers to invest in an item such as this, however, we hope it has at least been effective in making customers aware of the advantages of commercial dishwashers. Alongside implements such as ice machines, glass washers and drink cooling fridges, these types of washers are one of the essential accessories for even a moderately busy commercial kitchen or bar, and hopefully this blog post will have made it apparent exactly why and how that is the case. Drinks coolers are among the most popular and best-selling pieces of bar equipment available on the market, and are a common sight in bars, clubs, pubs and restaurants across the western world. Most bar equipment suppliers tend to stock two different varieties of drinks coolers: freestanding and built-in. The lines below aim to establish a comparison between the two, highlighting the unique traits and characteristics each one possesses and explaining how they may impact their usage and functionality. As the name indicates, freestanding drinks coolers are designed to be able to stand on their own. These types of coolers tend to be larger than their built-in counterparts, and are commonly seen in larger and more spacious bar rooms. These coolers have the advantage of providing more storage than the built-in variety, and allowing for easier access to the drinks; however, they do also take up more space, which may be an issue for bar managers or landlords with less real estate available. Still, bars or pubs with plenty of room and which tend to see a high level of demand for bottled or canned drinks may want to invest in a freestanding cooler. Built-in drinks coolers are the most common type found in most bars and pubs, and are among the best-selling types of bar equipment. When compared to freestanding coolers, these tend to be smaller, and specifically designed to fit underneath counters or worktops, thus maximising the available space behind a bar. The flipside is that these types of coolers tend to hold fewer drinks when compared to the free-standing variety, which may pose a problem for bars and pubs which experience high demand for these types of drinks. Ultimately, then, the choice between built-in and free-standing coolers comes down to space and trade volumes for each establishment. Both are best sellers for bar equipment suppliers, and will make for an excellent way for bar managers or landlords to store chilled drinks! Bar Equipment FAQs: What Are Some of the Common Issues With Drinks Coolers? Drinks coolers are among the most useful pieces of bar equipment and an omnipresent fixture behind the counter of bars, restaurants or pubs of all sizes and descriptions across the world. As with any piece of bar equipment, however, drinks coolers sometimes malfunction or fall victim to mechanical fault. While usually quite sturdy, these items are not unbreakable, and it is important that pub landlords or bar managers know how to spot and identify an accident. For that purpose, the lines below list some of the most common issues these items are affected by, and give an overview of the effects of each one. This is not a mechanical fault per se, but is a common enough occurrence to warrant mention. A thermostat that is set too low will hold the compressor too long, and cause icing at the back of the unit, requiring adjustment. A truly faulty thermostat, on the other hand, will not cool at all, and will require the intervention of a bar equipment specialist in order to be repaired. Broken door seals decelerate the cooling process by compromising the airtight sealing of the unit, thus both wasting unnecessary energy and causing icing at the back of the unit. Most broken seals can be fixed by either pushing them back in or unscrewing the seal frame and repairing them manually. In the case of the latter, customers are advised to call upon a bar equipment specialist, as DIY fixing can make matters worse. This is perhaps the easiest issue to fix when it comes to drinks coolers, and simply requires unscrewing and replacing the fluorescent lamps on the roof of the unit. Unlike the other issues mentioned in this article, this one will not require the intervention of a bar equipment specialist; a DIY fix will be perfectly acceptable. Armed with this knowledge about how and in what way their bar equipment can malfunction, bar and pub managers can be ready for any eventuality! Here at DK Services all bar equipment is tested and checked for quality control at the highest level so be assured that you will be getting a the best appliances delivered to your door. Contact us here for any questions and one of our trusted advisors will guide you through the process. Any bar, nightclub or restaurant manager is aware of the Importance of bar equipment in the running of their operation. Each of the typical implements present in a back-of-bar or kitchen has an essential role to play in ensuring the establishment operates smoothly and service is delivered without issue. The lines below list three of the most important ways in which bar equipment can impact the way a bar or restaurant operates. Perhaps the most relevant way in which bar equipment impacts the functioning of such an establishment is by taking care of specialised tasks which are impossible to fulfil by human hands. It is impossible, or at the very least morose, for staff members to cool drinks or make ice, for instance, while an ice machine or drinks cooler will take care of this task much faster, and on a continuous basis. Bar and restaurant staff are often called upon to fulfil a variety of tasks on the course of an average day at work, and one of the most time-consuming and gruelling tasks they are faced with is washing kitchenware. Purchasing a dishwasher or glasswasher for a restaurant kitchen or back of bar can help significantly reduce the staff’s workload in this regard, freeing up some time in their already busy schedule to take care of every other task which needs attending to in an establishment of this type. 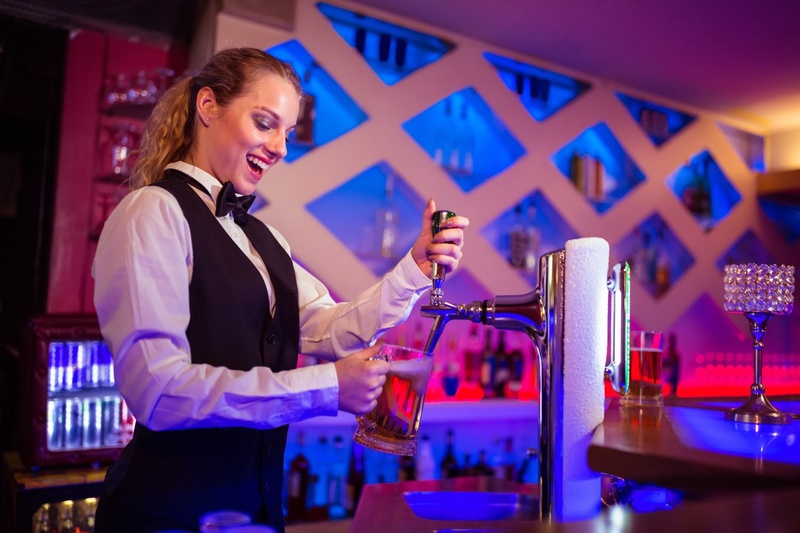 As a result of the two previously mentioned factors, bar and restaurant managers might find bar equipment also helps improve the efficiency of their service, allowing them to take on a higher volume of daily business than they otherwise would. There can be little doubt, then, of just how important bar equipment is to a commercial food and drink establishment; managers who are in doubt about whether or not to buy it should therefore take this article into consideration! Bar equipment is one of the essential components of any drinking establishment, and making sure it is of as high a standard as possible goes halfway towards ensuring said establishment runs as smoothly as possible. However, high-quality bar equipment can also be expensive, and many bar or restaurant owners, particularly those just starting up their new business, may not be able to afford furnishings as good or sturdy as they might have desired. For managers in this type of situation, the best option for acquiring bar equipment of a high enough calibre to ensure good service might be to rent it. 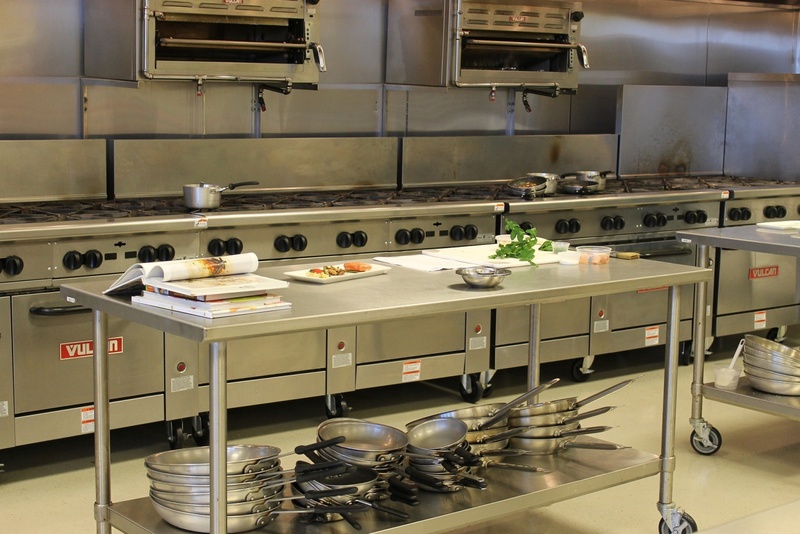 Many bar equipment suppliers, DK Services included, provide a rental option, which allows bar and restaurant owners to acquire high-quality implements at a lower price than they would were they to purchase these pieces. There are a number of advantages to renting bar equipment as opposed to buying it, which make this option worth a look by customers looking to save up while also acquiring high-quality back-of-bar furnishings. The first of these is, evidently, the fact that it is much more affordable to rent an ice-maker or industrial dishwasher than to buy one. In addition, the rental option gives bar owners access to higher-end furnishings, which might not have been affordable otherwise. In essence, a similar set of perks than might be had from leasing, rather than purchasing, a car. In addition to this reduction in acquisition costs, bar managers who choose to rent their bar equipment are also often guaranteed maintenance and repair services ‘on the house.’ DK Services, for instance, repairs all of its rental bar equipment free of charge, thus allowing clients to save up even more, as well as give them peace of mind. It is clear, then, that more than just constituting a valid alternative to purchase, bar equipment rental can in fact be more advantageous to a manager or owner than buying the same items! Any patron or bar manager knows the value of having a certain number of indispensable items of bar equipment. Without these items, the management of the establishment can be considerably more difficult, if not outright impossible. The lines below explain precisely why each of these pieces of bar equipment is crucial to ensure a high-traffic bar functions smoothly and effectively. Bottled drinks are among the most sought-after products in any bar or pub, and are best enjoyed chilled. As such, it comes as no surprise that bottle coolers are a crucial piece of bar equipment for any establishment in which drinks are served. 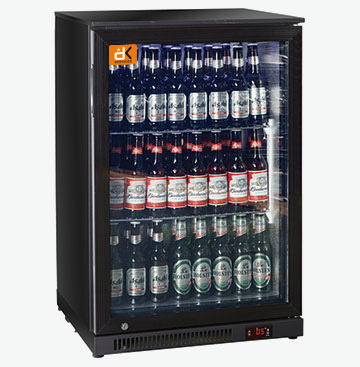 Similar to a refrigerator, but specifically tailored to ensure the drinks are kept at the ideal temperature to maximise their taste and refreshing qualities, bottle coolers are the quintessential piece of bar equipment no manager should go without! Like bottled drinks, cocktails and draught drinks should be served as cool as possible, an effect usually achieved through the addition of ice. The process of making ice in the freezer is, however, both morose and inadequate for a bar or pub, which makes ice making machines vital in ensuring customers’ drinks are adequately chilled upon serving. A high-volume bar or restaurant will, inevitably, have a considerably large amount of dishes to wash at the end of any given night. 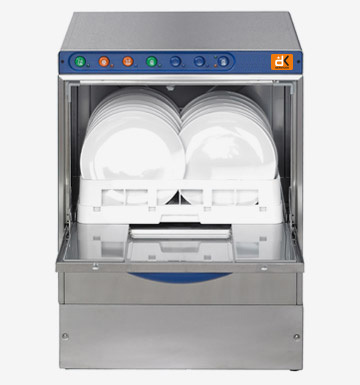 A high-powered industrial dishwasher is the perfect way of coping with this issue, which explains why this particular piece of bar equipment is usually in high demand among DK Services customers. 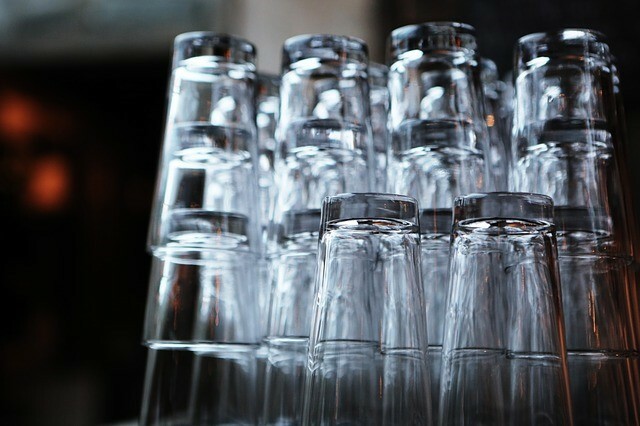 Like industrial dishwashers, glasswashers are instrumental in ensuring a drinking establishment is able to cope with the amount of dirty glasses they face on any given night, and can be considered an essential piece of bar equipment as well. These are, then, the four pieces of bar equipment no manager or landlord should go without – all of which can be found here at DK Services! Of all the elements required to open and run a bar, bar equipment is arguably the most important and the one requiring the most thought put into it. 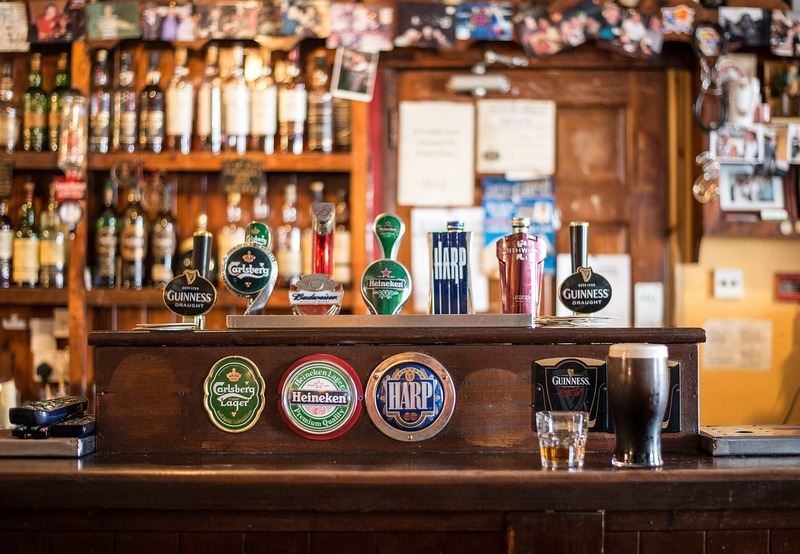 The lack of adequate bar equipment could actively compromise a bar’s business, and it is therefore important that bar owners ensure their bar equipment possesses certain key characteristics. Three of the most important of these are detailed in the lines below. Obviously, it is important that bar equipment be lasting and durable, so as to prevent breakage and the need for replacement. This sturdiness should apply to both the outer shell of the equipment and any potential electrical wiring inside it. Good-looking equipment is useless if its innards are fragile and prone to shutting down or short-circuiting. Likewise, it is important that bar equipment does what is required of it. Bar owners should therefore be careful to ensure their furnishings are as high-performance as possible, the better to cope with the invariably high demands of an average business night at a bar. As important as it is for bar equipment to be sturdy, allowances should be made for attractiveness. Visual appeal is often the first selling point for a bar, and the sturdiest furnishings in the world will not attract customers if they are not as pleasing to the eye as they are durable. Despite its more ‘backstage’ role, bar equipment is not exempt from this rule, and bar owners should be careful to ensure their sturdiness and performance is coupled with at least a modicum of visual appeal. By ensuring these three elements are present when purchasing bar equipment, bar owners can prevent against any eventualities, and guarantee their bar equipment is of the highest standard. At DK Services, we make sure all of our pieces possess all three, so as to better meet our customer’s demands! At DK Services, we’re proud to present a tremendous selection of ice makers, dishwashers and more, going above and beyond to present you with bar equipment that you just couldn’t do without. That’s why our stock is full of top quality bar equipment and appliances that showcase the very highest standards of quality, and it’s why we do everything we can to make it as easy as possible to get your hands on what you need. With highly competitive prices offered on just about every single one of our tremendous appliances and bar equipment, you’re sure to find that there’s no better place to outfit your bar, pub or club than right here with us. Starting at just £7 a week, you’ll find that our appliances are always incredibly accessible without having to break the bank, and our rental deals are guaranteed to ensure a flexible, versatile package which works for you. We’re leading bar equipment suppliers precisely because of our ability to meet and exceed your every individual need and requirement as a business, and you can always rest assured knowing that we’ll strive to contour our service to you no matter what. What’s more, our friendly team of experts is always at the ready to guarantee a standard of customer service that you just wouldn’t get anywhere else, with free callouts, rapid emergency responses and more all working together to keep you up and running even in the worst case scenario. You only ever need to give us a ring to tell us the specifics of your situation in order to get everything started, as we’re always keen to work out the best way we can be of service for you. Get in touch about your ideal bar equipment today! If you’ve been searching for the very finest bar equipment suppliers to provide the most fantastic range of bar supplies, appliances and more, then the team here at DK Services can definitely be of service for you. We’re always ready and waiting to deliver, so make sure you don’t wait to get in contact if we’ve got what you need. We recently welcomed the first day of summer here in Britain, and it’s safe to say that the time is definitely right to pop down to your favourite bar, pub or club for a good drink or two. No bar would be complete without that all important ice to keep drinks cool and refreshing, however, and especially on a hot day, so make sure you’re fully stocked to serve if you yourself own a bar that’s set to see more than a few customers coming through the door. Bar equipment like our selection of ice makers makes for the ideal product to maintain a reliable quantity of top quality, crystal clear ice when you need it most, so why not browse our full stock of products for the one that’s just right for you? With DK Services on your side, you’ll always be able to relax and rest assured knowing that our expert team has you covered every step of the way. From the very moment you decide to invest in our bar equipment, we’ll offer you a fantastic rental deal that’s bound to work for you or a price on any purchase that you’ll hardly believe. Our stock of appliances and bar equipment is wide enough to cover any budget, after all, so we really do mean it when we say that we have something for everyone. What’s more, with complementary servicing and a repair policy provided alongside every single one of our rental deals and packages, we ensure that you get the most comprehensive cover on the market today – no matter what bar equipment you opt in for. Why not come and have a look at everything that we’ve got to offer you today? If you’re looking to make sure that you’re fully stocked and ready to serve your customers throughout summer, make sure you don’t miss out on the incredible offers, deals and rental prices we have on a tremendous range of ice makers, bottle coolers and more. DK Services has everything you need and more in the way of top quality bar equipment that you just couldn’t do without, so why wait to get in contact?